Join the Boston Chapter at the Museum of Fine Arts for "Diwali: The Festival of Lights". 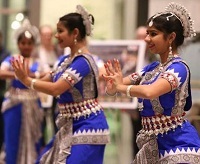 This special event will celebrate South Asian art, music, and dance in the spirit of the Diwali festival. Admission is free and LSE alumni can bring guests. The group will meet next to the statue on the lawn in front of the Huntington Entrance. If it is raining, the group will meet in the lobby of the Huntington Entrance near the ticket office.